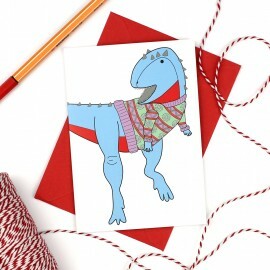 Funny wrapping paper featuring a dinosaur wearing 6 different Christmas jumpers! 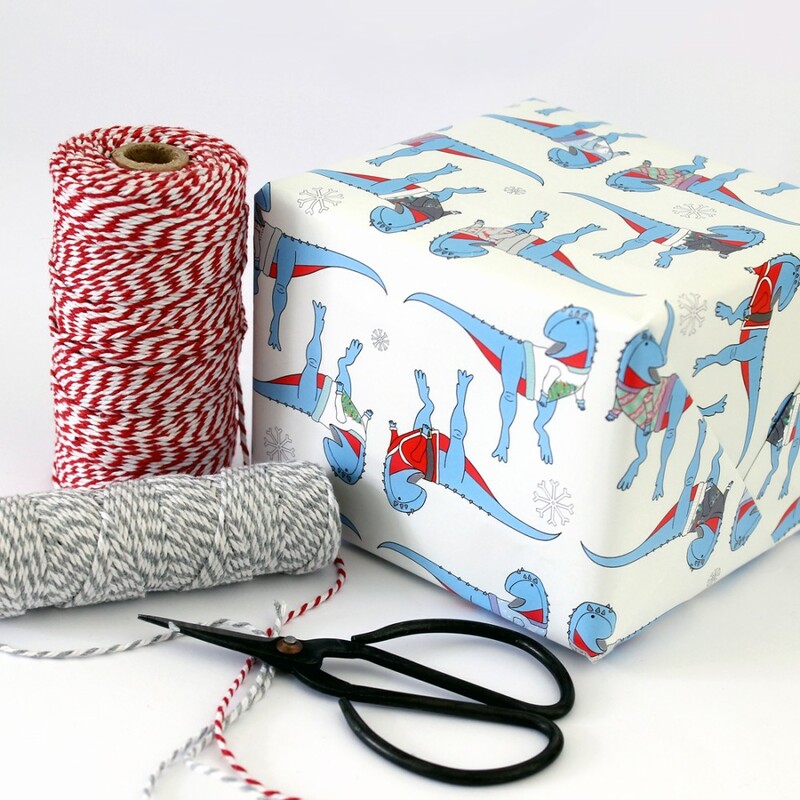 This funny wrapping paper is perfect for your ugly jumper, dinosaur loving friends and family. The paper features a dinosaur wearing different Christmas jumper designs. There are 6 jumper designs; Snow-rex, Christmas tree, colourful fairisle pattern, Santa jumper, a grey jumper with silhouettes of a T-Rex, snowflakes and trees, and a night scene with santas sleigh. 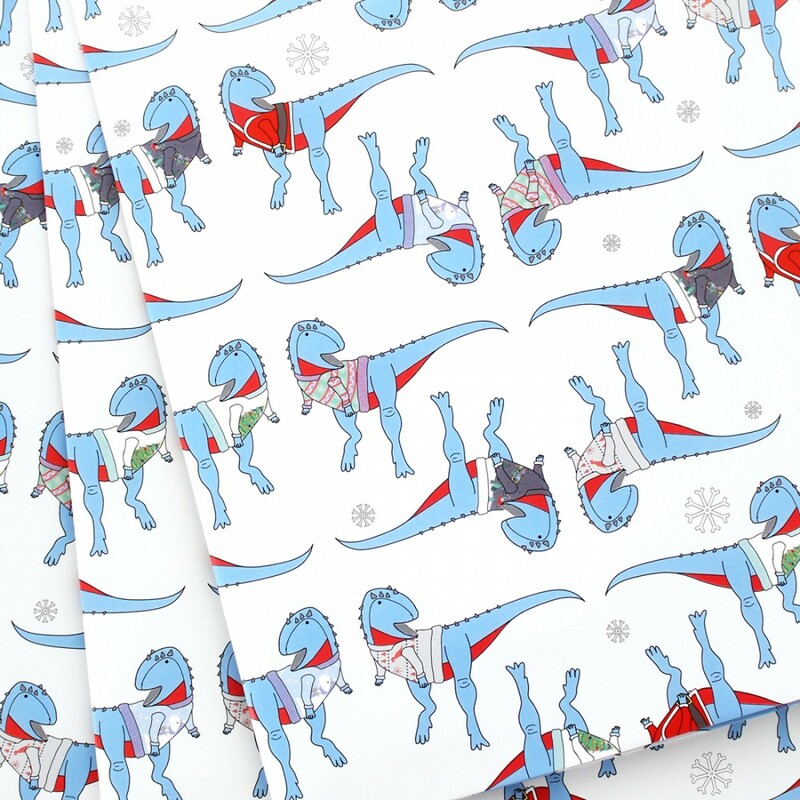 The dinosaurs are in rows with a very pale blue background scattered with snowflakes. This card is a great all purpose card! It could be used for Birthdays, Christmas, or just to s.. 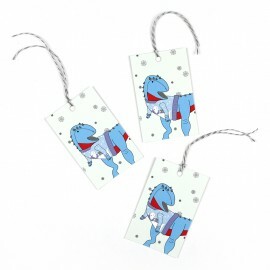 These fun Christmas gift tags are the perfect final touch to you gifts. The tags feature an ork..